Autism learning. The very term implies that our children can learn and do more than we think. If you doubt me, let me explain. Have you ever seen a toddler surprise you by doing something you didn't know she could do? If you're watching closely, you might catch a rare moment when she shows you what she really knows and understands. You may think I'm dreaming. But I believe you would be astonished if you knew what your child could do or learn if he had the chance. Isn't it amazing what kids with autism can learn if we just give them the chance? I've seen unexpected miracles happen with my own son with autism. These occasional glimpses leak out like bits of hidden treasure. I recall the day my son, who couldn't talk (or so I thought), suddenly began reading his vocabulary flash cards out loud. I was shocked and elated. That lasted for three months before his newfound skill disappeared again. But the secret was out; I had learned something incredible about him. When he was 12 years old and still unable to speak, his new speech therapist told me, "If he's ever talked before, we'll get it out of him." Her's was the voice of experience, and I believed her. I'm not asking you to believe in something as unlikely as the Loch Ness monster. Have you ever heard that "your belief is valid if you believe it sincerely enough?" I'm talking about reality. What if you believe your child would never talk because he can't speak a word now? How will we ever give our kids a chance to achieve great things if we think it's impossible? As a teacher, I can reveal ways to teach your child that are designed for autism learning. But keep in mind that progress won't happen all at once. Real advances happen little by little when we work at it every day. We may be tempted to think only about the goal of helping him talk, or write his name, or type a story. And we should keep our eyes on the goal. But as vital as these objectives are, your child achieves her most crucial victories each day when she takes that next tiny step forward. I consider each of those small steps to be breakthroughs because they all lead to the goal. Without making such headway, we would never hit the target. 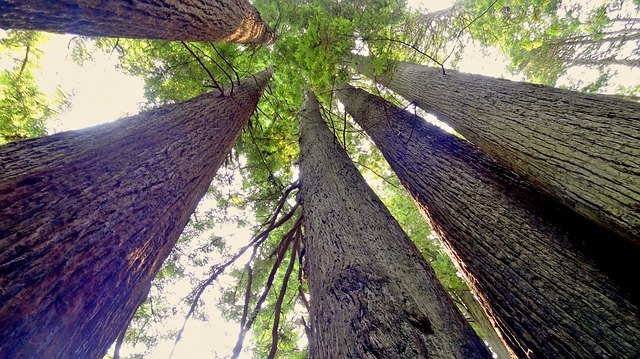 The Redwood trees in the western U.S. are some of the largest trees in the world. How do they get that way? By persistent, nonstop growth, little by little each day. It is said that the most impressive of Thomas Edison’s achievements are not the inventions for which we all remember him, such as the light bulb and moving pictures, but the numerous failed experiments that littered his backyard. For every successful invention that Edison gave us, he endured over 2,000 failures. 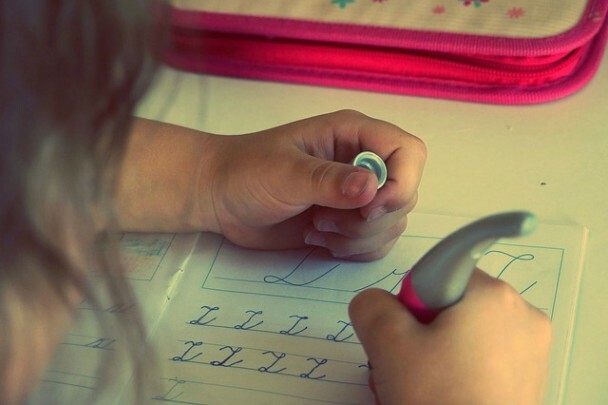 Success with autism learning has less to do with talent and more to do with persistence. Sometimes teaching our kids takes a lot of trial and error. But the good news is, our kids can learn if we keep pressing forward. I truly believe that those who succeed are the ones who refuse to give up--even when faced with a disabling condition. While I don't claim to have a cure on this site, the goal is to do everything we can to reach for that level. Zig Ziglar famously stated, "If you aim at nothing you'll hit it every time." And we must keep reaching for that goal even if what we're trying with our children isn't working. Like Edison's persistence, if something isn't effective, we need to try other methods until we find out what does work. I'm not going to pretend that everything on this site will work for everyone. Such a claim would be unrealistic. I'm just saying that I firmly believe that all children, regardless of their disabilities, have the potential to improve, and may be able to progress further than we ever thought possible. When my son was not yet toilet-trained, I tried every method I could find, and nothing worked. In the end, I had to come up with my own method that suited his unique needs. Those other methods that I tried without success probably worked very well for some children, but not for my son. More on this later. Since potty-training is a subject a lot of parents want to know about, I plan to publish more information soon on how he was toilet-trained. While my own son is somewhat low-functioning, I also have a close relative with mild autism. He shares with me valuable insight into how my more severe son is feeling and how he sees the world. But he also reveals critical knowledge about mild autism learning. Many similarities exist between mild and severe autism, but the two ends of the spectrum are also vastly different in many ways. You can now benefit from what I've learned. Because I'll be sharing with you from the angle of mild and severe autism learning, and from the viewpoint of a teacher and a parent. I'm here as just one more person and one more resource to help you on your journey with autism learning. If you have any questions, I'll do my best to help. You can reach me by sending me a message on my contact page. If you would like to receive tips and be informed whenever we post new articles to this site, scroll to the top of this page and sign up for our newsletter.